Businesses around Australia can take advantage of the R&D tax incentive. The Sydney office of Swanson Reed is the leading R&D consultant in Australia and has been helping firms across the nation determine if they can make a …read more. Swanson Reed Specialist R&D Tax Advisors are the most highly talented and professional team in Australia. With over 30 years of specialised R and D tax consulting experience, Swanson Reed is proud to have the most efficient and …read more. For over 30 years, Swanson Reed – Specialist R&D Tax Advisors has been providing high quality advice and R&D consulting to companies seeking to take the R&D tax incentive. Swanson Reed offers consulting on all facets of the R&D tax program for businesses across the nation. From its headquarters in Brisbane, Swanson Reed’s team of …read more. Swanson Reed-Specialist R&D Tax Advisors are one of Australia’s largest and most trusted firms, with over 30 years of experience and R&D consultants in Sydney, Brisbane and Melbourne. Swanson Reed differs from other tax firms in that we are truly specialists. We are not …read more. Swanson Reed-Specialist R&D Tax Advisors have offices across Australia to serve businesses and organizations seeking the R&D tax incentive. For over 30 years we have been specialising exclusively in R&D. The services we offer through R&D consulting in Brisbane, Sydney and Melbourne include everything from eligibility assessment to claim preparation to …read more. Swanson Reed-Specialist R&D Tax Advisors have over 30 years of research and development experience. Swanson Reed-Specialists are boutique tax consultants that operate Australia-wide, bringing efficient, fun and high quality work anywhere in Australia. Claiming the R&D tax incentive doesn’t have to be an expensive and difficult process. The R&D tax consultants at Swanson Reed manage all facets of …read more. The leading R&D tax consultants in Australia are at Swanson Reed, the Brisbane based firm that has over 30 years of experience in helping businesses across the country apply for and claim the research and development tax incentive. From its main office, the company serves the entire nation including …read more. With over 30 years in the business, Swanson Reed has developed into the leader in R&D tax consulting in Brisbane as well as Melbourne, Adelaide, Perth, and Sydney. The experts at the company deal only in research and development tax incentives, unlike most of the country’s other major accounting firms. Businesses throughout the country have learned to …read more. How did Swanson Reed Specialist R&D Tax Advisors become Australia’s largest and most trusted R&D experts? By caring about our clients. It might sound overly simple, but Swanson Reed recognises that every client is a wonderful opportunity to build a relationship, win support and delight people with our incredible specialised services. By caring about …read more. Swanson Reed Specialist R&D Tax Advisors have been serving Australia for over 30 years. We pride ourselves on being the most efficient specialised tax machine in the country that achieves the best results for our clients. By dedicating ourselves to innovation, strategy, efficiency and technical expertise, we have grown to become the largest and …read more. So you’ve been trying to prepare your R&D tax credit claim, and you’ve been shopping around for a consultant to help you out, but you can’t seem to find an expert who knows enough about your industry to be helpful. Perhaps you’re in the manufacturing industry, and …read more. Has your business been incurring R&D (Research & Development) expenses this year? If so, then you may be eligible for Australia’s R&D tax credit. But how can you know for sure, and who can you trust to help you get the most out of …read more. Is your company eligible to receive research and development tax credits? Even if you think the answer is no, you might be incorrect. At Swanson Reed Specialist R&D Tax Advisors, we have helped a …read more. For years, Swanson Reed has been helping companies in Australia claim the benefits of the R&D tax incentive program. R&D tax credits help companies with active research and development programs to get certain tax exemptions. In other words, an R&D tax credit is a …read more. If your business has a research and development department, and you want to find out about the possibility of getting R&D tax incentives, then you’ve come to the right place. At Swanson Reed Specialist R&D Tax Advisors, we …read more. Is your company thinking about claiming R&D tax exemptions for the current tax year? If so, Swanson Reed can help. We are a firm of specialist R&D tax advisors with offices nationwide, and our seasoned experts can help …read more. 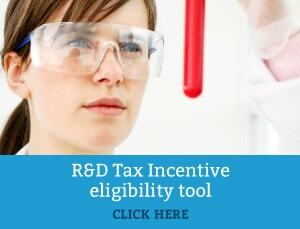 If your business is currently in the process of developing a new technology or researching a new scientific concept, then you may be eligible to receive research and development tax incentives from the Australian government. The Australian government is willing to provide tax breaks to …read more. Knowledge is power. You’re feeling less than powerful, however, in the wake of your R & D Tax Incentive claim. You understand the purpose of the law, but its many requirements and eligibility standards leave …read more. The road to claiming R&D Tax credits is a short one, with only three steps needed to reach the destination. Those steps prove treacherous, though, for companies unfamiliar with …read more. The financial world changed in 2011. An unexpected partnership between the Australian Tax Office (ATO) and AusIndustry left corporations (and their CEOs) reeling. This partnership demanded a new series of …read more.